FAT 'zine #34. The very last one. 1996. Mat Hoffman gets the cover. Hammond. And free stickers from Powerlite, GT, 360-Grad, Pantera and an anti smoking campaign. Thanks to all contributors, subsribers, advertisers and everyone who has helped out in any way to make FAT-'zine happen. It was a wild ride but a good one. Long live the Internet version now. 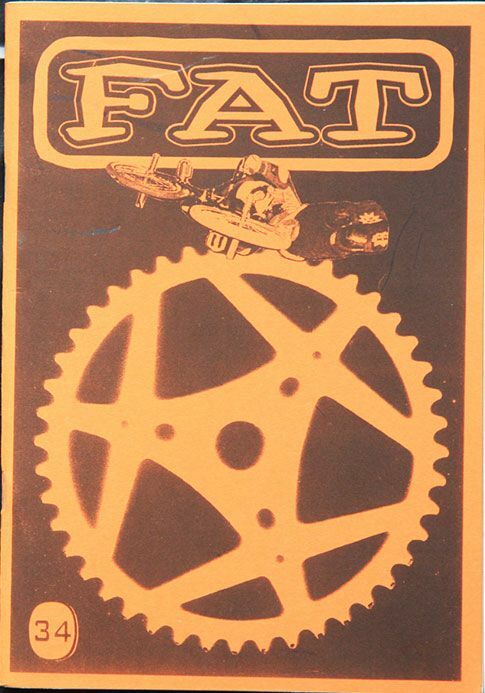 Check it out: FAT-'zine issue 34 (1996) Flip through the pages of the entire 'zine by hitting that link. FAT-'zine number 33. The year is 1996. Osato, Taj, Blanchard, Faris, Miron, Lawan and more.. FAT 'zine #31. Brian Foster, Jay Miron, Robbie Morales and much more. Back to 1995. Dave Mirra interview. BMX Museum in 1994. Bartman comic and loads more. FAT-'zine #30. Free stuff with issue 29 of FAT-'zine. Itw's with Lawan, Woody, Tarzan, Wilke, Daily & more.